are specially designed for meeting research and development phase freeze drying requirements in the increasingly demanding R&D centres in industry and academia. 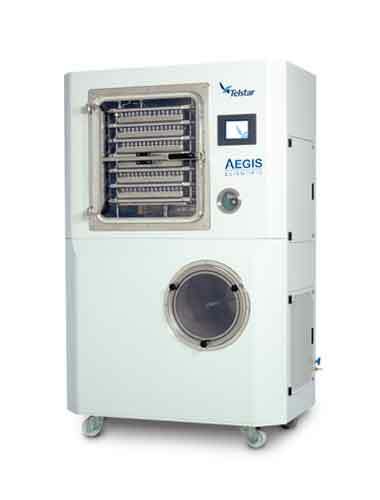 All Telstar-Aegis Scientific laboratory freeze dryers are designed according to GLP principles to comply with the strictest international standards. The laboratory freeze dryer range covers from small table-top units to sophisticated pilot equipment. 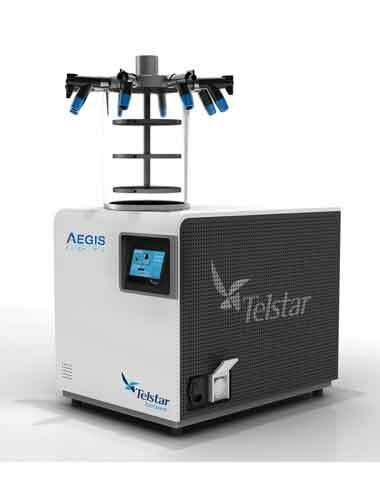 All Telstar - Aegis Scientific freeze drying units are designed and constructed in accordance with the strictest international standards and a scrupulous test process is performed before dispatch to the customer. 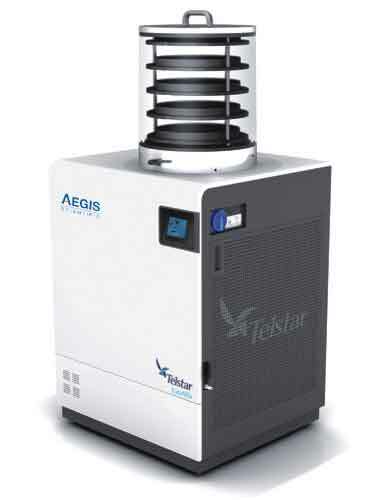 The quality of Telstar - Aegis Scientific equipment plus a commitment to provide the best possible technical service, make TELSTAR - Aegis Scientific a leader in the field of laboratory freeze dryers. Moreover, Telstar and Aegis Scientific's experience in the freeze drying field, through an established in-house freeze drying laboratory, guarantees customers not only the choice of the most suitable unit but also expert advice on how it should be used. 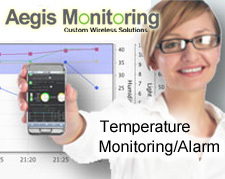 Please do not hesitate to contact us for process development advice.